Here is another development in the industry’s effort to help contract holders make their monthly payments in ways they prefer. Payment technology and services provider BillingTree recently announced that auto dealer management specialists Car-Ware will integrate the myPayrazr solution suite into its software platform. The completed integration enables Car-Ware clients to utilize BillingTree merchant services and deploy the myPayrazr gateway, portals and Interactive Voice Response (IVR) to manage auto finance transactions simply and effectively. Officials added the integration also offers their end-customers a wide range of digital options to settle payments quickly and easily. “Given the scope of Car-Ware solutions and the proven experience of BillingTree in auto finance, this partnership is a strong fit,” said Mike Dooney, president and chief executive officer of Car-Ware. “BillingTree solutions perfectly align with our focus on offering the latest digital tools to help dealers better manage their business. The in-built security means our customers can remain safe in the knowledge that the technology they are deploying is fully compliant with industry standards,” Dooney continued. Car-Ware has been providing software support in the dealer management and automobile industry for more than 15 years. The company services the financing, accounting, customer relationship management and inventory management needs of a nationwide roster of clients. The integration of the myPayrazr solution suite means dealers can now offer a wider range of innovative payment channels and greatly increase the payment options available to end-customers. Channels include IVR, online payment portals and recurring payment plans. The companies added that Car-Ware clients also benefit from BillingTree merchant services to maintain compliance and best practices for secure payment acceptance. 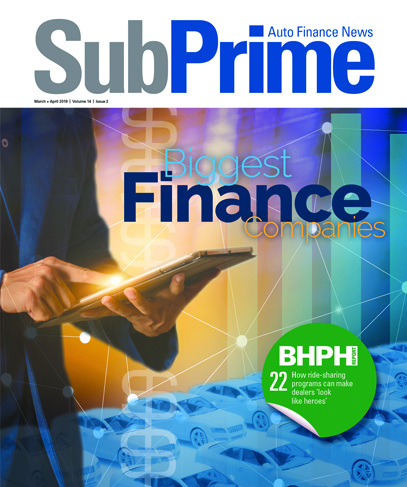 “Payment technology is a key revenue driver in the auto finance industry, and customers are looking for more convenient ways to keep up with auto loan payments.” said Jason Hiland, director of sales and business development in financial services at BillingTree. “This strategic partnership provides automated, convenient and secure payment channels, putting both dealers and consumers in control when it comes to managing their finances,” Hiland went on to say. This development is the latest BillingTree partnership in the auto industry, and the BillingTree auto finance team will be hosting a joint webinar with Car-Ware on June 14 beginning at 2 p.m. ET to explain the implications and benefits of the integration. Registration for the free session can be completed here.